Manages activities of the Department for regulatory reform, responsible for the implementation of the project "System analysis of regulation". Has a sufficient operational experience in government service, specialize in issues of government regulation, business development and support, training and assessment of regulatory impact analysis, strategic planning, macroeconomic analysis and forecasting, improving the regulatory framework, gender policy. Participated in the regulatory reform, closely works with government agencies and private sectors. Has extensive experience in management and other positions. Assigned the rank of Counselor of State Service Class 2, has state awards. 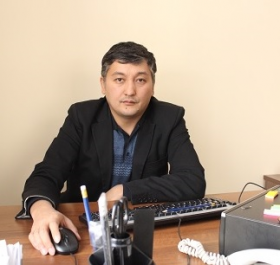 Has an experience in government service in the antimonopoly bodies, in enterprise development, in Administration Office of the Kyrgyz Republic in the field of entrepreneurship, development and examination of legislation. Participated in international projects in Kyrgyz Republic, in particular, USAID, the International Finance Corporation in reforming the state control and supervision, improving the process of elaboration and adoption of draft laws and regulations, implementation of regulatory impact analysis at the legislative process. 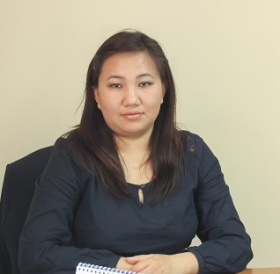 She is a trainer on carrying out regulatory impact analysis (RIA) in the Kyrgyz State Law Academy under the Administration of the Kyrgyz Republic. Has an experience on carrying out RIA. Economist, expert in government finances management, strategic planning, monitoring and evaluation. 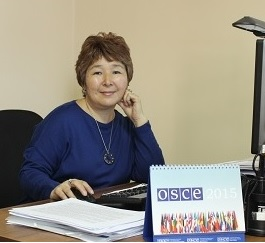 Has an extensive experience in government service - total work experience in the field of government services is about 8 years old: the State Committee of Kyrgyz Republic on Foreign Investments and Economic Development, Ministry of Finance, the Central Agency of Development, Investment and Innovation and others. Since 2004 works as a consultant and expert in projects of USAID, UNDP, European Commission and Tacis, Asian Development Bank, World Bank, UNCTAD, GIZ. Participated in the development of national, regional and sectoral development strategies. Conducts trainings. His clients were and are the Ministry of Finance, the parliament, Accounting Chamber, State Tax Service, the Ministry of Economy, Ministry of Social Development, Vocational and technical education agency and others. By education a lawyer on international law. Specialized in corporate, civil right, commercial right, employment disputes, judicial representation, intellectual property, norm-setting. 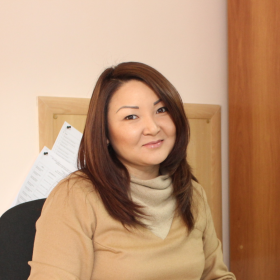 Previous place of work - Public Broadcasting Corporation of Kyrgyz Republic, position - executive director of Legal Affairs. 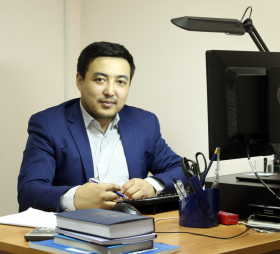 Has an experience in the government service in the Ministry of Justice and Administration of the Kyrgyz Republic in the sphere of legal reform, development and examination of legislation. 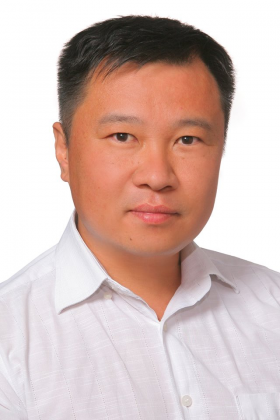 Participated in implementing international projects in Kyrgyz Republic in the sphere of reforming government administration, institutional development, the development of normative legal acts, strategic planning, etc. 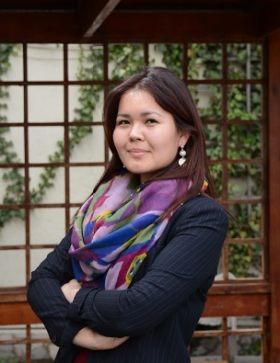 Has an experience in institutional development and conducting functional analysis in government agencies in Kyrgyz Republic. Conducts work on assessment of government regulation on business and proposal development to improve the normative and legal base, regulating the business activities. 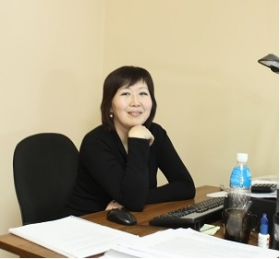 Zarema Askarova for a long time worked in government service, specializing in conducting legal examination of normative legal acts of Kyrgyz Republic and the evaluation of the regulatory impact analysis. Has a successful experience in regulatory reform, interested in issues of governance, government regulation of business activity. All her work experience, professional knowledge and skills are in the field of development and examination normative legal acts, initiating numerous proposals for amendments and additions to the legislation. As part of reforming the existing system of regulatory impact analysis is directly involved in the development of techniques of regulatory impact analysis of normative legal acts on the activity of business entities. Significant work took place at the administrative level. 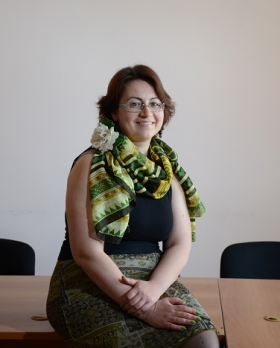 This is evidenced by its more than 10-years experience in the field of jurisprudence, of which 7 years N. Kuletova headed structural units of different government agencies. Participated in implementing international projects of UNDP, USAID / GGPAS, "Soros-Kyrgyzstan", the World Bank in the sphere of reforming government administration, streamlining government functions, etc. Has two degrees - law, philology. Great educational experience in law. For a long time worked in nongovernmental sector. Deals with issues of lobbying and advocacy programs of Harm Reduction, protection of rights and interests of vulnerable groups, headed informational training center. Worked closely with government representatives, NGOs and international organizations. Has an experience in the sphere of public policy and development analytical papers on access to information about the activities of government agencies, including access to public services. Develops analytical documents for improving the policy of implementation electronic government, access to justice and openness of court proceedings. Has an experience in the development of draft regulatory-legal acts in framework of the Council on Judicial Reform under President of KR. Conducted training on legal issues in the sphere of human rights, access to the courts. Has degree in international relations, public policy, political management, and Masters on a specialty "Civil Law". More than 15 years in journalism and PR. Worked in the leading and most popular media in Kyrgyzstan, including "Vecherniy Bishkek", "24.kg", "Vesti.kg", "Chalkan.kg." Developed and implemented informational and advertising campaigns: for the Internet service provider "AsiaInfo", Semiconductor Factory "Kristall" (Kyrgyzstan), trade network "Tri Semerki", LLC "Tacom" (later - trade mark "Beeline", Dushanbe. Tajikistan). Has an experience in brand naming (creation a slogan for the operator of cellular communication "AziyaLink" (Dushanbe), creation name and slogan for the series telephone cards "ALLEshka" for servicing IP telephony). Winner of many journalistic competitions. Last place of work - the Academy of of state administration under the President of Kyrgyz Republic, on the position of press secretary and head of the department of public relations.